It's been six years since Phaidon released one of their gargantuan architectural atlases, meaning the publisher was overdue for yet another one. In 2004 they released the first, the Phaidon Atlas of Contemporary World Architecture; four years later came the Phaidon Atlas of 21st Century World Architecture; and in 2012 they released 20th Century World Architecture. Another atlas should have come out in 2016 to stick with the every-four-years time span. 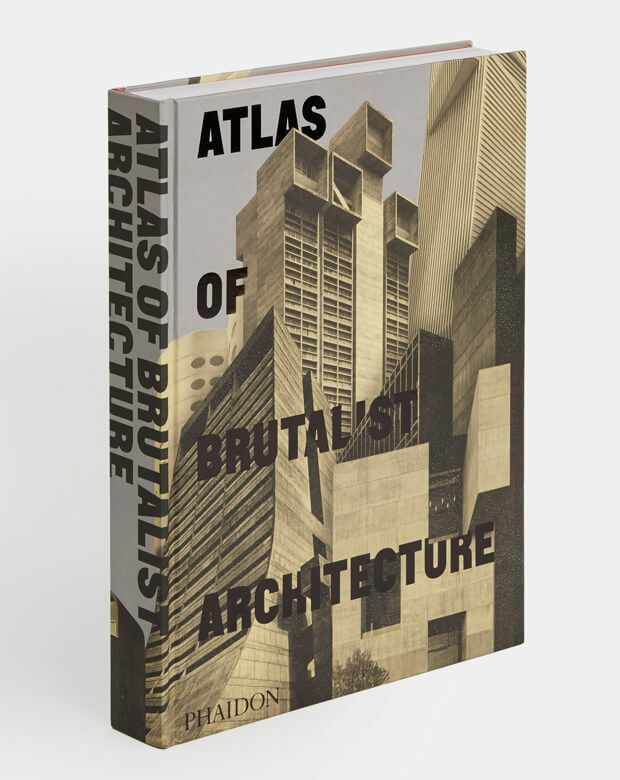 Instead, we get Atlas of Brutalist Architecture, which comes out next month. 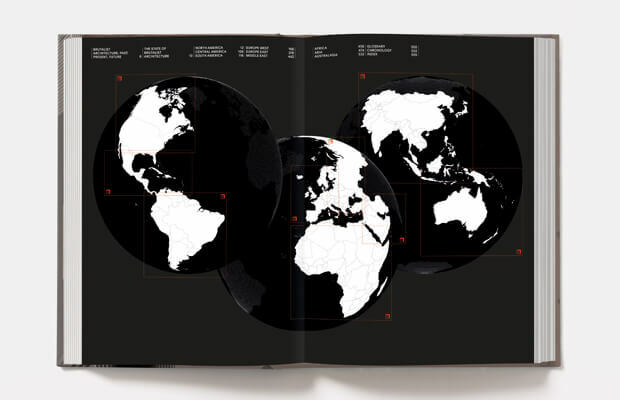 These spreads give a sense of what's inside the atlas – lots of photographs and a little bit of text – but the video below best gives a sense of the book's size. 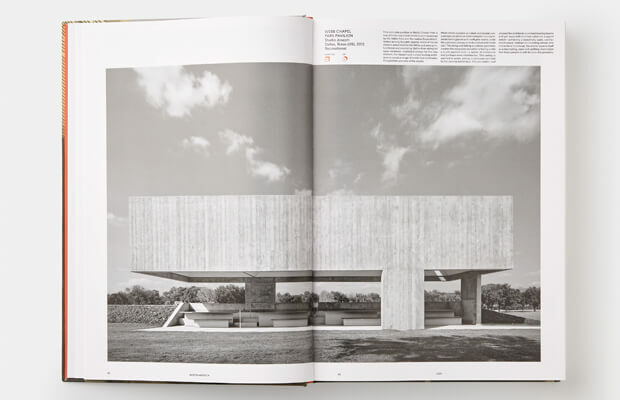 So how does Phaidon define "brutalist" and therefore determine what buildings are included? I haven't seen the book so I can't say for sure. But the architects listed on Phaidon's website, both from the 20th century (Marcel Breuer, Lina Bo Bardi, Le Corbusier, Carlo Scarpa, Ernö Goldfinger, Frank Lloyd Wright, Louis Kahn, Oscar Niemeyer, Paul Rudolph) and 21st century (Peter Zumthor, Alvaro Siza, Coop Himmelb(l)au, David Chipperfield, Diller and Scofidio, Herzog & de Meuron, Jean Nouvel, SANAA, OMA, Renzo Piano, Tadao Ando, Zaha Hadid), signal that the publisher has a very flexible definition of the "style," and therefore the pricey book should appeal to just about all fans of modern and contemporary architecture.